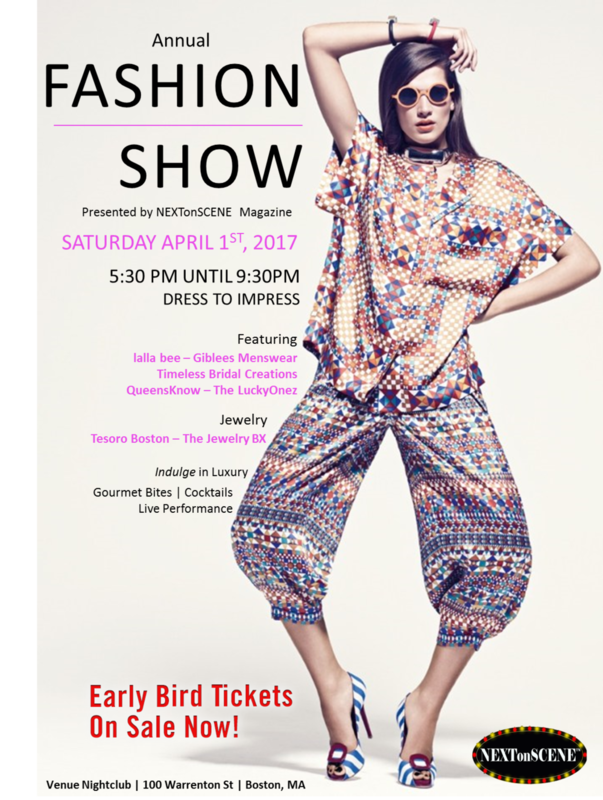 NEXTonSCENE Magazine™ has OFFICIALLY booked our SPRING 2017 FASHION SHOW! Fashion show to start immediately after performance! Line up of designers include: lalla bee, Giblees Menswear, Timeless Bridal Creations, QueensKnow & The Lucky Onez. Meet & Greet with designers & support & shop with them on your way out ! and Editor in Chief of NEXTonSCENE Magazine™ Jaclyn Zukerman will be HOSTING! !